I know I haven’t really blogged, like, at all this year. I guess it was a combination of factors. After returning from holidaying in the Gold Coast, I returned to work. As soon as I started back, it was full-on. I was working long hours and had a lot to do. Stress soon took over and with added stress, depression started to take hold again. I found the black dog had well and truly come to stay. In order to get back to my happy place, I knew I had to make changes. I just didn’t know what. In the end, I decided to resign from my job. It was an incredibly hard decision. The people I worked with are absolutely awesome and I miss seeing them everyday. Soon after I had resigned, Man Piece got a job offer in Wellington. It was an easy decision to make, as moving back to Wellington was always our end game. Instead of looking for a new job in Sydney, I began packing up my life and looking for jobs in Wellington. We’ve been back about a week and a half now. I can feel happy returning and the creative juices beginning to flow. For the first time in months I actually want to blog! And write and go out and see friends. A huge change from only a few months ago. So, to catch you all up on my life in the last few months, and some of the outfits I have worn, here is a post full of pictures and outfits. 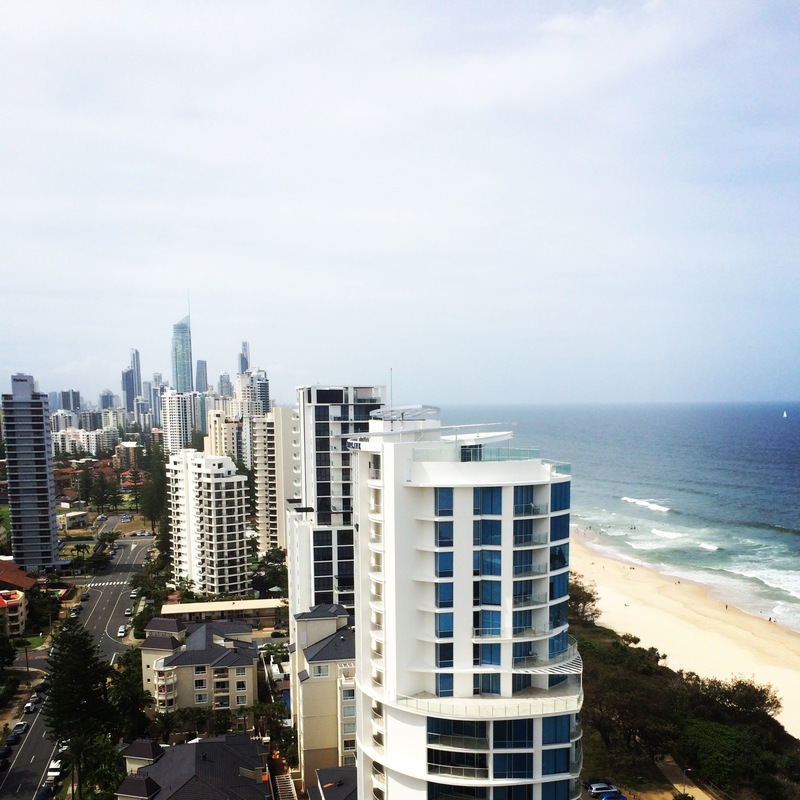 Our view from the apartment we stayed in at Broadbeach. I blame Facebook for everyone using the word ‘Like’ too much. It’s gotten into our subconscious. Well played, Zuckerberg, well played. A few days ago, I discovered that I was one of those people that says ‘like’ a lot. No, I am not a 16-year-old. Even though I may act like it sometimes. I remember saying it a lot a few years ago, for no apparent reason other than to cause a break in my sentences. I slowly managed to wein myself off of saying ‘like’ as every second word. Until a few days ago, when I noticed it has slipped back into my vocabulary. I was talking to a colleague and noticed I had said it a few times. So I started to think, “Don’t say it”. So of course I started to say it more. It was a weird moment, I was saying ‘like’ even though I was trying not to. I got quite frustrated. I think this is why I don’t necessarily talk to so much. Words just seem to come out in mush, even though I’m trying my hardest not to do it. I prefer the written word. The thoughts in my head don’t seem to fall over themselves to make themselves heard when putting them onto paper (or screen). And most of all, I’m not channeling a 16-year-old in my head. ‘Like’ is not part of my vocabulary in there. I am contemplating amalgamating my twitter accounts. Currently I have two @splatdevil and @lisarapley. These days you have to be careful with what you put on the internet, because with a quick Google search you can find anything. In fact this blog probably doesn’t cast me in a very good light, which is why I have been blogging less. The whole, putting less of myself online. Which is where the idea of deleting one account came from. I also rely a lot on twitter. It has literally taken over my life in the last two years. Sure, I didn’t have much else to do, but I’m wanting to change that. I’m sick of being unemployed and I feel I’m getting the short end of the stick sometimes. I guess there are two ways I could do it. 1. Keep @splatdevil, but follow everyone from @lisarapley that I don’t follow; change my name (most likely to lisarapley) and unlock my account. 2.Vice versa – keep @lisarapley and follow everyone from @splatdevil that I don’t follow. The second one seems the easiest, there is less to do. But the issues I’m coming up against – I will lose my tweet count from @splatdevil if I do that. I’ve put in two years of work on that one and have made some fantastic friends through it. I have almost 38k tweets. Could I really undo all of that with a simple click of my mouse? Another is, would people know it was me? Deleting @splatdevil and following all I did over on @lisarapley, would I get back the people that I have followed and become, somewhat, friends with? There are other options. I could delete both and start afresh. People have done it. Or I could make @lisaraply my main account and cut down on the amount of people I follow on @splatdevil. That would turn it in to a strictly “friends only” account, which might not be a bad thing. I want to do something and having only one account would be awesome. But in this world where I have submerged myself in social media and the career that I am trying to get off the ground, is having one account realistic? What are your thoughts? Do you have multiple accounts? If so, what do you use them for? Am I worrying over nothing? Tweet me or leave a comment below. The good news is that I had a job interview this week. I am yet to hear anything about it though. So I continue to wait. I know, it’s lame, but that’s just how my mind works. The bad news is that my laptop kind of shat itself. And by laptop I mean the power supply, which in turn means laptop because my battery only lasts about 30 minutes these days. Utter fail. So I am without a laptop. The only way am managing to write this is because of Man Piece’s Mac Mini which is hooked up to the TEEVEE. Kind of awesome. Alas that means there probably won’t be too many job applications going on over today and tomorrow. I did manage to copy my CVs over to the mac mini before laptop died so I may be able to do some. I just don’t have word or the equivalent on mac to write cover letters. I guess I could always write them in the body of an email. Awkward. But hopefully a new power supply is on it’s way. Dad has a universal one lying around his workshop, he said it should do the trick. If it doesn’t then I probably do need to source another one from somewhere and who knows how long that will take. Oh well. For now the mac mini is working well. It does make me consider just buying a whole new laptop. It has not been having the best year, or more just the last 12 months. Saying year I feel implies 2011, but the troubles began sometime last year. Poor lappy. It will be three years old in August. Anyway, supposed to be going out for drinks tonight so I should probably extricate myself from the snuggliness of the couch and go shower. Because I’m one of those lame people who doesn’t shower till mid afternoon. It’s a #lifeoftheunemployed, what you gonna do about it? Oh, and it’s raining and I should not be allowed to make fudge ever again. And by fudge I mean delicious chocolate, peanut butter and sweetened condensed milk all mixed together, chilled and cut into tiny addictive pieces. Not in the mood to really write anything today, so these are a few things I have seen today that I think would be cool to have. A sort of “favourite things”. First a couple links to some *awesome* shoes that I saw today, which I really want, but probably can never have. Well… *maybe* the boots. The boots and the heels. I want red boots! Alas, the heels are probably too expensive. 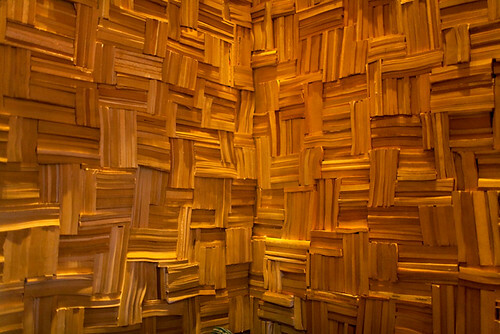 A room made out of books. How cool is that!? 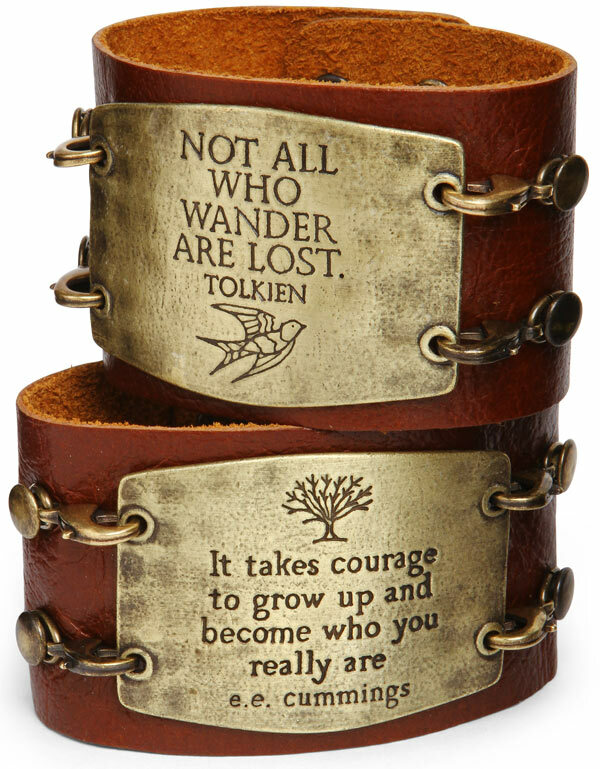 Literary cuffs. This would be so cool. 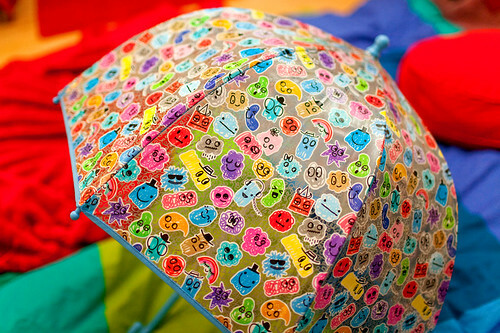 I can think of many quotes I would gladly have on one of these. Super Mario tote bag. No more needs to be said. A hugging ghost ring. Nawwwwwwwwww. 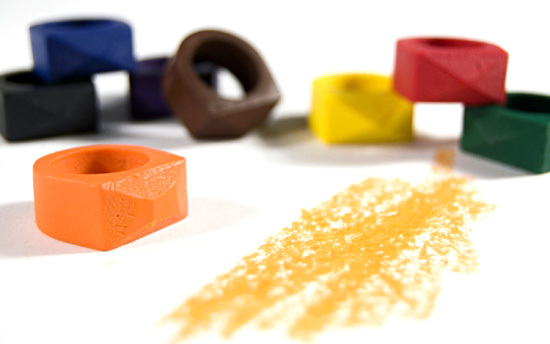 Crayon rings. Best invention ever. A wittle cute puppy dog to have lub and cuddles with. And kisses. Nawwww. And a cute little kitteh boom to write humorous LOLcat sayings about.